Delicious fingers of salmon fillet in a perfectly crispy crumb flavoured with lemon and pepper. 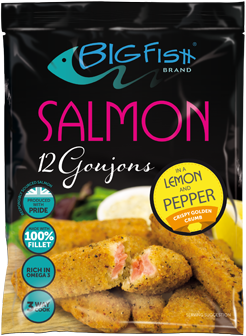 Our Salmon Goujons are made with premium salmon fillet and coated in a great tasting crispy crumb. 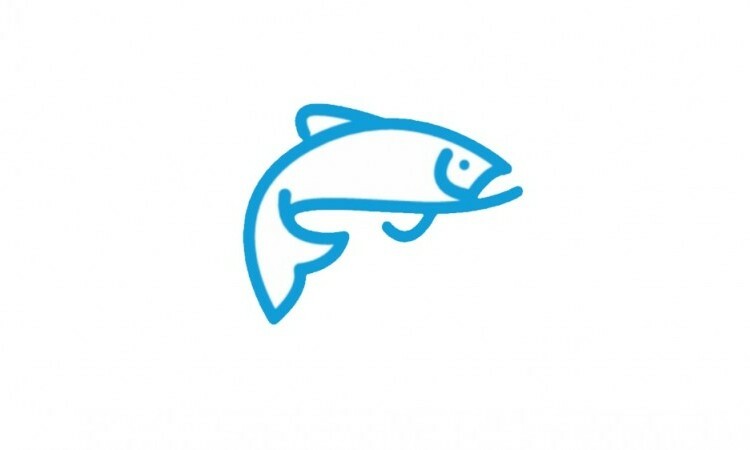 They cook straight from frozen in minutes (oven, grill or fry) and they're ideal for lunches, midweek meals or fast suppers. Quick to prepare and absolutely delicious! Oven or Grill Preheat the oven to 220°C/200°C for fan or Gas Mark 7. Remove all packaging and place the goujons on a preheated baking tray in the centre of the oven. Bake for 16 minutes and turn half way through cooking for a crisp and golden crumb. Fry Preheat the oil to 180°C and place goujons in to a frying basket before lowering into the oil. Fry the goujons for 4 minutes until golden and crisp before removing and leaving to stand for 1 minute to allow excess oil to drain before serving. (Add an extra minute to the cooking time for a crisper eat).